Ian Dohoo, DVM, PhD, has been named to the Order of Canada for his contributions to animal and human epidemiology in developed and developing countries. Dr. Dohoo led the creation of the Atlantic Veterinary College’s (AVC’s) research program in veterinary epidemiology and became the first director of the University of Prince Edward Island’s (UPEI’s) Centre for Veterinary Epidemiological Research. 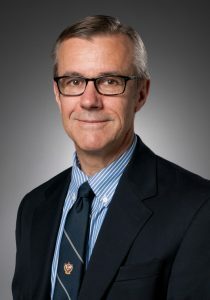 He completed his PhD in epidemiology at the University of Guelph’s (U of G’s) Ontario Veterinary College (OVC) in 1983 and joined AVC in 1985, one year before the college accepted its first class of students. Dohoo has received numerous awards for teaching and research, including appointment as a fellow of the Canadian Academy of Health Sciences (CAHS) and several honorary doctorates and lifetime achievement awards from both the United States and international veterinary epidemiology societies. He retired in 2012 as professor emeritus at UPEI and received an honorary degree from U of G.
A date for the ceremony has not yet been announced.